Enquire or learn about demolition and enabling works employment opportunities with Probuild. If you have a question or concern about the demolition and enabling work that is occuring on site please contact our contractor, Probuild. 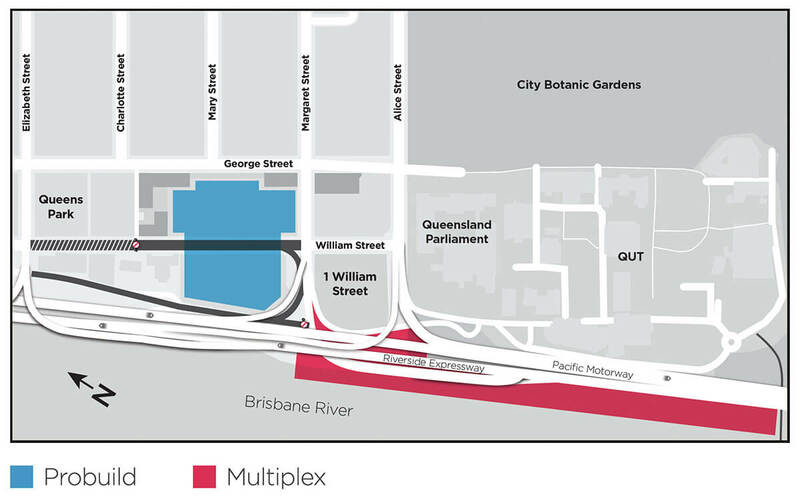 If you have a question or concern about Waterline Park and the Goodwill Bridge extension area (includes the upgrade of the Bicentennial Bikeway between the Goodwill Bridge and back of 1WS and construction of the Mangrove Walk out in the river) please contact our contractor Multiplex.